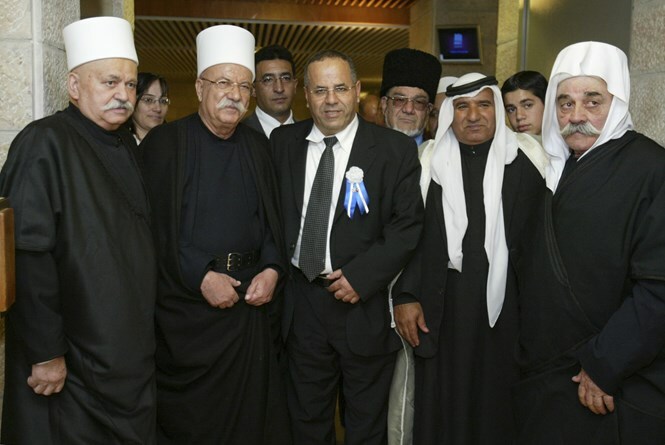 Who are the Druze? An enlightening talk with a Druze leader, former MK Ayoub Kara - and his combat soldier nephew, Majid. The recent terrorist murder of Druze IDF Border Patrol Officer Jedan Assad by a Palestinian Arab driver who plowed intentionally into a group of people waiting for a light rail train in Jerusalem, once again brought the over 130,000 members of Israel's Druze community into the public eye. 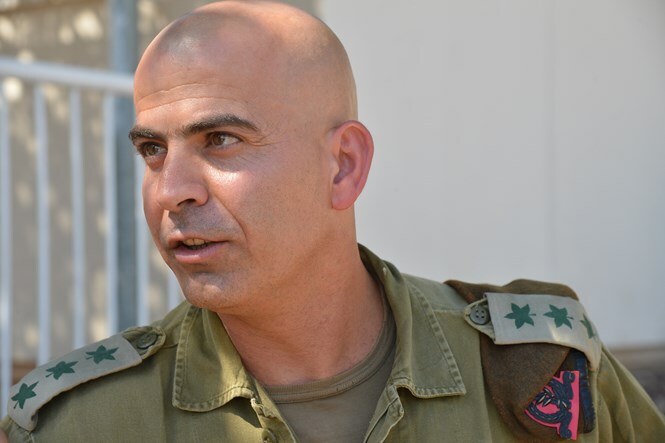 And during Operation Protective Edge, Druze IDF Colonel Rasan Alian of Horfesh, the commanding officer of the Golani Brigade, gained nationwide admiration for returning to the front to lead his soldiers shortly after being seriously wounded. But, somehow, in between the many heroic actions of Druze IDF servicemen, there is little notice taken of the strongly patriotic Druze minority in Israel, who live mainly in their own villages in the north and whose Zionism seems to be taken for granted by the powers-that-be. 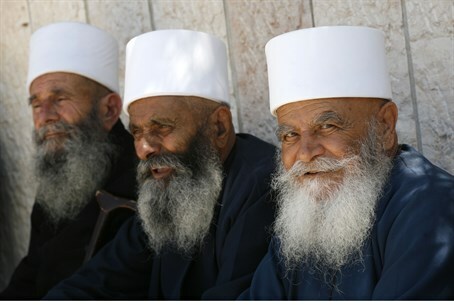 A community with a unique monotheistic theology that does not accept converts, Druze are recognized in Israel as a separate religion with their own courts, and many Druze believe they stem from Jethro, the father in law of Moses, who was loyal to the Jews and aided them, while remaining a non-Jew. Israel would do well to take more notice of the contribution that an Arabic-speaking, loyal population could provide to the public sphere, the international arena and the local economy, in addition to already being a source of outstanding officers and members of the IDF, Police and Prison systems. A week spent in a spotless vacation ("tsimmer") compound in the picturesque Druze town of Daliyat al Karmel (Daliya for short) with my family this past summer added new dimensions to a longstanding friendship with builder Majid Kara and his wife, a young Druze family whose initiative helped create the new neighborhood of modern villas adjoining the picturesque old town with its magnificent views of the Carmel range. Majid, whose home attests to his love of fine art, is an IDF combat soldier, but takes pride in making Israel more beautiful through his work in construction. His son, as is the Druze tradition, plans to follow in his father's IDF footsteps. Majid explained that the Druze Elders keep the philosophic and theological tenets of the faith to themselves and only those Druze who prove their saintliness (men and women - those men wear white fezzes and the women white veils) for a long test period can be "initiated" and learn them. The five color Druze flag represents the five Druze principles, taught by five prophets, he continued, as he took us to look at the arched prayer hall in the old part of Daliya where steps lead down to a cave that served an early prophet. When asked about his feelings about Israeli society, Majid answers that he wishes to live among his own people, as do most Druze, but does expect the Druze to be put on the map of investment in industry, technology and other forms of economic expansion. He points to the nearby Israeli city of Yokneam, with its burgeoning technology park, sadly contrasting it with Daliya's lack of development. There is a balance to be struck, he says, between allowing for the preserving of tradition and receiving what is due. Druze do not lack for new ideas and although the busy shopping street of Daliya is known to most Israelis, few know that there is a mehadrin kosher restaurant off the main road, with authentic Druze cooking supervised by a mashgiach, that older Druze are happy to show their skills at pita-baking on an open taboun, sometimes inviting visitors to drop in at weddings – and, knowing that I am observant, he noted that they respect our religious strictures. Arutz Sheva spoke with Majid's uncle, former Likud MK Ayoub Kara, soon after his condolence visit to Jedan Assad's family in the Druze village of Beit Jann, and learned other fascinating facts about the Israel's Druze minority - and about Kara himself. What does it feel like to be Druze in Israel? How about Druze youth? Kara: "We and the Jews in Israel have a common destiny, a long term covenant sealed between us long ago. And our religion, which is based on loyalty, justice, good deeds and caring for one's fellow man, facilitates this relationship. "On the other hand, there are various instances of injustice towards us. One of the strange problems the Druze face is that the land surrounding Daliya, legally registered as the property of families living in the town, was zoned as a nature reserve. At the time, the Druze did not realize the implications of this step, which even precludes agricultural use. While the green vistas are beautiful as they are, judicious changes in zoning could allow for technological investment as well as planned nature parks to boost income from taxes and attract paying tourism, thereby providing employment and a feeling of belonging for the younger generation." Now, he says, after totally egalitarian IDF service, many of them feel shunted aside by Israel. "Israeli Arabs, who do not give up three years of their lives to the IDF have a head start in education and job opportunities. Our youth see that and Israel must find a way to compensate for it." What is the Druze contribution to Israel's security? Kara: "The Druze have suffered 397 losses defending Israel. If you visit to the national memorial for Druze soldiers, located in Daliya and overlooking the Carmel mountain range, you may meet the person in charge, 88-year-old former Likud MK Amal Nasser el-Din who lost both a son and grandson in Israel's wars. "There has never been a Druze who spied for the enemy. There is a law, which our elders suggested, drafting Druze for the IDF since 1955, in contrast with other minorities." Tell us about Jadan Assad's family. Kara: "The Assad's are a family of brave IDF fighters who have always supported Israel and worked for its future, some serving as heads of local councils and in the Knesset. Assad Assad (Likud) and Shafik Assad of the now-defunct Shinui party were MK's. And now they have lost a son." Kara: "My grandfather Salman Kara was close to the Weitzman family and Baron de Rothschild before 1948. He was the only non-Jew to receive a salary from the JNF for being in charge of Jewish affairs. He and a friend, the Mukhtar of Abu Gosh, helped the Lehi Underground and worked with [later to be Prime Minister] Yitzchak Shamir. "Salman traveled all over Israel on his horse, observing any unusual Arab activity. In 1939, Arabs identified and killed the eldest of his sons at point blank range in the streets of Akko. Another son was kidnapped in 1947 and never found. Still, my father enlisted in the IDF in 1948 and was wounded while fighting for the Galilee, while his sons fought in the 1982 First Lebanon War. One fell in 1985 and another was critically wounded near Beirut and died of his wounds, leaving only myself. My battle injuries prevented me from continuing to advance in the IDF hierarchy, although I had planned to do so. "And another thing. In 1880 Sir Laurence Oliphant came to Daliya and received a land grant from my grandfather to build a home on the Carmel. Oliphant's secretary was Naftali Tzvi Imber, who actually composed the Israeli national anthem, Hatikva, right there in Daliya! "I decided to go into politics when I realized that I could not continue as a combat officer and one of the first things I did as an MK was make Oliphant's home a National Heritage site and pass a law stating that the anthem must be sung and the flag raised at every official government ceremony." "I was something of a maverick in the Likud, would not raise my hand to support the Disengagement, was the only Likud MK to vote against leaving Lebanon – I wanted us to at least support keeping Lebanese Christian forces (SLA) in the buffer zone that soon became Hezbollah's domain when we left. I was bounced from the party list in 2006 as 'punishment', but I returned to the Knesset in 2009, to find myself the only Cabinet member against the Beit El Ulpena neighborhood's destruction. "I believe that the land of Israel belongs to the Jewish people and that we are here to follow in the biblical Jethro's path and assist them in keeping the land." What special role does a Zionist, non-Jewish and Arabic-speaking MK have? "I negotiated Israel's contacts with South Sudan and other Christian countries in Africa, and am working to prevent their recognizing a PA state. Israel must send out people like me to disprove charges of Apartheid and racial discrimination – send us and our message of loyalty to the Jewish state worldwide. When I appear in England, France and South Africa, I can put paid to anti-Zionist accusations. "I was in touch with Druze villagers on the other side of the Syrian border when the upheaval began there, arranging for medical and humanitarian care from Israel, bringing in wounded – until the Islamists came into the area. I had said from the start that if Bashar Assad is not overthrown immediately, extremists would overcome the Free Syrian Army - and they did." Kara: "I am promoting a plan to weaken IS ideologically. We have formed an organization called The War Against Extremism in the Arab World – before it is too late. Chabad and Evangelist Christians are also behind the idea. "IS is trying to influence Israeli Arabs to join its ranks, but we are fighting their brainwashing tactics and have succeeded in putting a stop to enlistment from Israel for the past several months. We have also succeeded in getting some who had volunteered to give up the idea and return. "We advertise in Arabic newspapers trying to appeal to balanced Muslims to accept the Bible's Seven Noahide commandments which include "thou shalt not kill", as an alternative to radical Islam. I go from one Arab village to another to convince people to sign allegiance to these seven commandments. We have representatives in each village and town and our plans are to reach Muslim countries with this message. "I am going to the US and the UN towards the end of November to raise support for this initiative, which has been a private one up to now. People have been contacting me by email to offer to help (Ayoob.kara@gmail.com). "I believe that Muslim extremism, in a way, is worse than Nazism. The Nazis murdered without compunction, but did not seek their own deaths. IS extremists do not have mercy upon themselves either – and this ideology can reach any part of the world. Many of their fighters come from Europe and upon their return will make the scourge an international one. 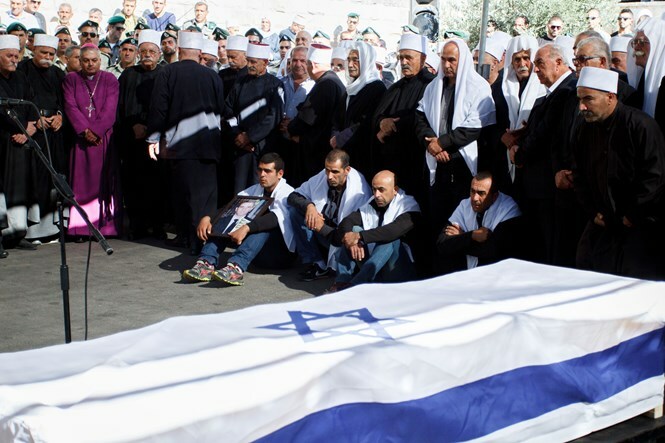 "The Druze can help Israel fight this scourge - and they will."